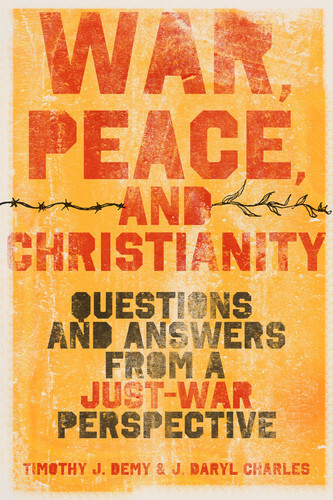 War, Peace, and Christianity: Questions and Answers from a Just-War Perspective. By J. Daryl Charles and Timothy J. Demy. Wheaton: Crossway, 2010. 413 pages. Softcover, $25.99. With the United States involved in two declared wars against other nations and participating in armed “peacekeeping” missions around the Middle East, the question of the ethics of war and peace is a major discussion point in the American public. The interesting thing about war is that it often brings back into the public conversation topics that have been discussed for millennia. This is true of the ethics of war and peace, and specifically the just-war theory. 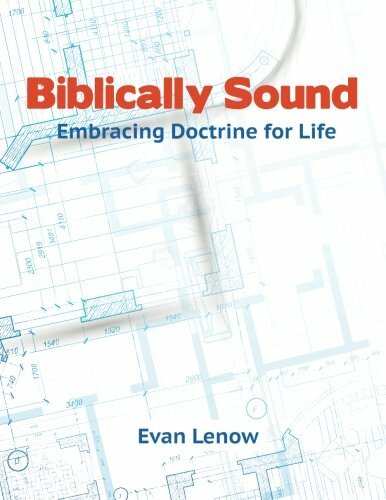 At each major crossroads, the discussion is renewed, and people often approach it as a new doctrine when it has actually been around for more than two thousand years. J. Daryl Charles and Timothy J. Demy take advantage of this renewed interest in just-war theory in their book, War, Peace, and Christianity: Questions and Answers from a Just-War Perspective. Both authors are steeped in the just-war tradition, but they come from different backgrounds. Charles, who serves as director and senior fellow of the Bryan Institute for Critical Thought and Practice, comes from a criminal-justice background and has written several works on this subject. Demy is a retired United States Navy commander and currently serves as associate professor of military ethics at the U.S. Naval War College. 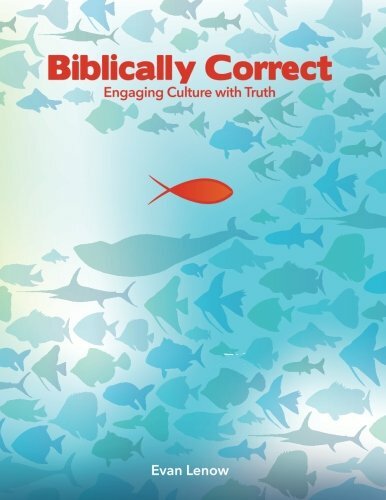 This book follows a traditional question and answer format with over 100 questions addressed in its pages. Those questions are divided into six categories to provide structure for the book: Just-War Tradition and the Philosopher, Just-War Tradition and the Historian, Just-War Tradition and the Statesman, Just-War Tradition and the Theologian, Just-War Tradition and the Combatant, and Just-War Tradition and the Individual. For the most part, the book addresses the classical development of just-war theory through the obvious historical sources of Cicero, Augustine, and Aquinas as well as the more recent influential work of Paul Ramsey and James Turner Johnson. For the just-war theorist already well-versed in the tradition, this volume does not add anything significant to the conversation. However, if one is new to the just-war discussion, this book provides a very approachable and thorough discussion of the topic. Surveying the traditional principles of just-war theory, Charles and Demy provide useful descriptions of the principles of just war in the classic categories of jus ad bellum (literally, justice to war) and jus in bello (literally, justice in war). The jus ad bellum principles include just cause, right intention, proper authority, proportionality, last resort, reasonable chance of success, peace as the ultimate aim, and formal declaration of war. The jus in bello principles include discrimination (or noncombatant immunity) and proportionate means (159–73). The interesting addition that Charles and Demy make to this traditional development is the addition of a third category: jus post bellum (literally, justice after war). While the development of this category does not produce the sophistication of the previous two, it certainly is a noble consideration in the just-war discussion. The authors note, “Scant attention is generally paid to yet a third—and critically important—dimension of justice, namely, justice after war—jus post bellum. If, in fact, part of the moral efficacy of just-war thinking is right intention and a concern for the proper ends, then just post bellum considerations are requisite” (206). The other unique contribution of this book comes in the final section—Just-War Tradition and the Individual. In this section, Charles and Demy bring personal application questions into the discussion. They ask questions about whether Christian love and charity prevent a believer from serving in war. They discuss the role of an individual accepting the government’s decision to go to war. They also consider the positions on war and peace taken by prominent twentieth-century theologians C. S. Lewis and Dietrich Bonhoeffer. The final questions address common misunderstandings of the just-war tradition and deserve a brief overview. The most common misunderstanding that has been propagated recently is the idea that just-war theory works from a “baseline presumption against war or coercive force rather than against evil or injustice” (389). The authors argue that such a misunderstanding—the presumption against war—leads to a completely pacifist position. Instead, they argue that the presumption is against injustice which then requires the use of force on occasion in order to prevent injustice. As noted above, this book does not bring much new material to the discussion of just-war theory, but it certainly provides an accessible approach to centuries of debate on the topic. For someone new to this conversation, it is a worthwhile read. Even for the student of just-war theory who has read the primary source material, this volume can serve as a valuable resource to refresh one’s mind on the issues without having to wade through pages of ancient literature. Overall, this is a worthy addition to the library of anyone interested in the topic. ‹ PreviousDoes ‘Mother Earth’ Have Human Rights?